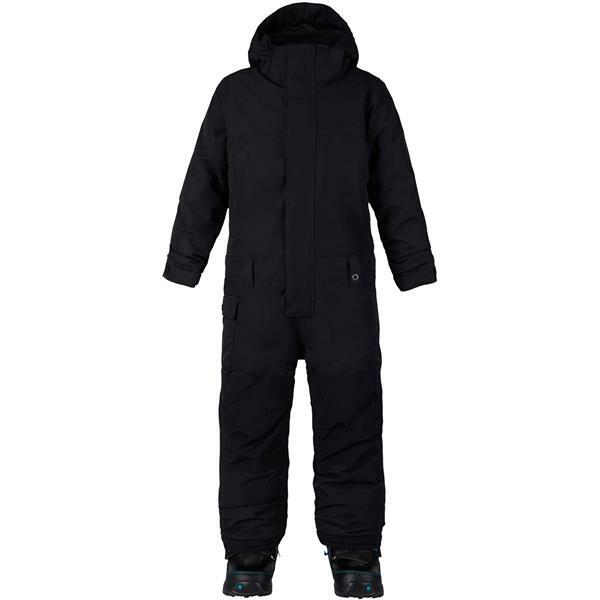 Head-to-toe waterproof warmth with Room-To-Grow™ extendable sizing for non-stop protection from cold and snow. From bunny slope to backyard fun, the Burton Minishred Striker One Piece seals out winter with durable waterproofing, top-to-bottom warmth, and munchkin-friendly function. Built for growth spurts with Room-To-Grow™ legs and sleeves that extend for multi-season use, this one-piece also has the carefully designed Cuff-Link thumb loop that will keep little hands covered when high-fiving after an awesome adventure.